An off-duty pilot in the cockpit of a Boeing 737 Max 8 jet jumped in to help crew disable a malfunctioning flight-control system as it experienced difficulties in October, according to Bloomberg. The next day, with a different crew, the same plane crashed into the sea off Jakarta, killing all 189 people on board. Safety equipment that could have helped was an extra charge from Boeing. Does this mean the airline now gets to share liability with Boeing? Good question. It might depend on how common it is to have to save a plane. A midair accident meant the crew had to learn to fly without a tail fin -- and fast. 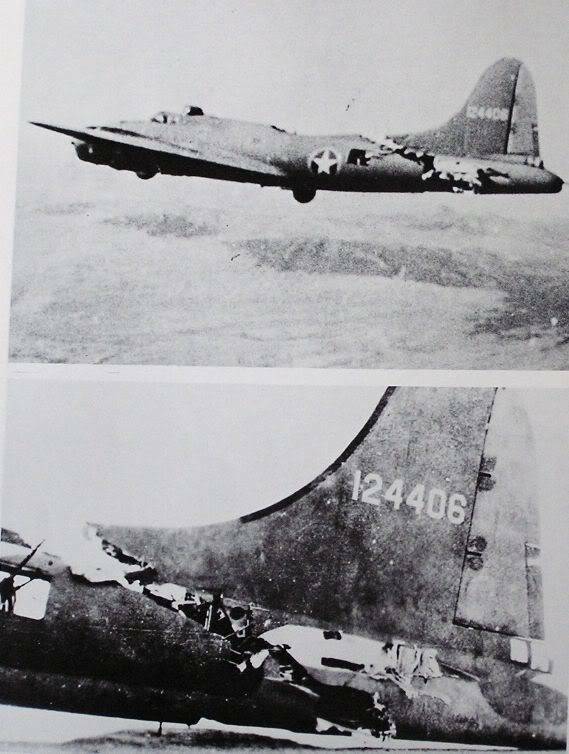 "The tail gunner was trapped at the rear of the plane because the floor connecting his section to the rest of the plane was gone. The plane, piloted by a Lieutenant Kendrick Bragg, flew 90 minutes back to base with the tail barely hanging on. By one account, it wagged like a dog's tail, and the pilot, after dropping his bombs, made a U-turn 70 miles across so as not to stress the tail. When the plane landed and came to a stop, the tail finally broke off." They were always on the hook. This just makes it worse. When an individual kills 150 people they go to jail. When an airline kills 150 people they go bankrupt and the C-suite gets bonuses. BTW, that jet goes by "Christine" nowadays. Like the car from the Stephen King novel. The vertical stabilizer wasn't the last of her problems...she was aptly named. But she hasn't crashed yet. Why are planes called "she." Southwest is changing their Primary Flight Displays because of this. On the PFD, in the center, is the electronic artificial horizon which already shows the AoA and vector, and now an extra AoA indicator with a white background in the upper right corner has been added. That's in addition to the AoA display in the HUD itself. Now you can see your AoA 3 ways instead of 2. I feel so much safer now. it's the pronoun they choose to be identified with. are you suggesting the plane that crashed had identity issues? Pilots have been taught to RELY on automatic flight control systems as SOP. Pilot training or lack thereof is the root cause.